Here's another photojournalistic shot. 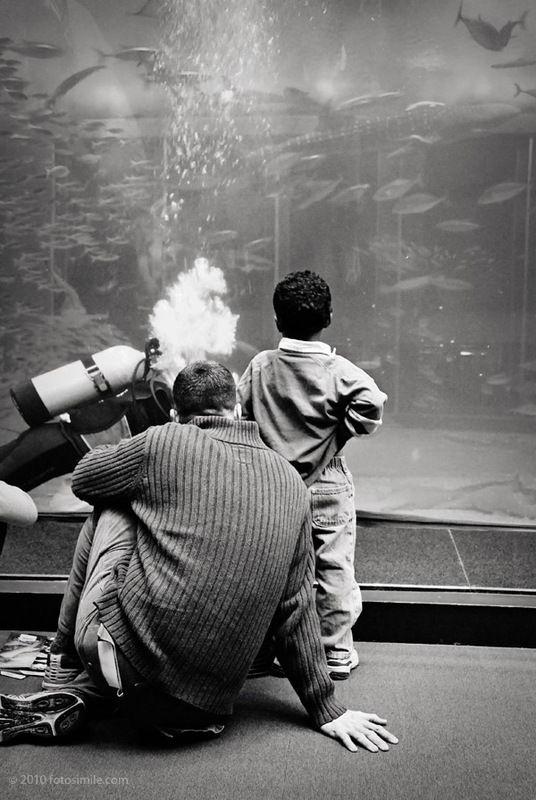 Nabbed this quiet moment as my brother and nephew were taking in the wonder of the Churaumi Aquarium on Okinawa. The light in this "bubble" room was so blue with the light filtered thru water and plexiglass that I think making the shot monochromatic takes away the distracting color cast and lets you focus on the subjects.